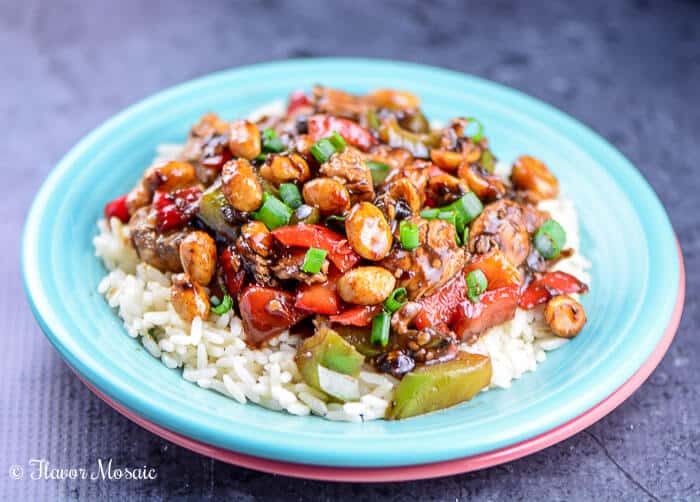 This Easy Kung Pao Chicken Recipe is a quick and easy Chinese inspired recipe that can be ready in less than 30 minutes and makes a great weeknight meal to celebrate Chinese New Year or for any time of year. 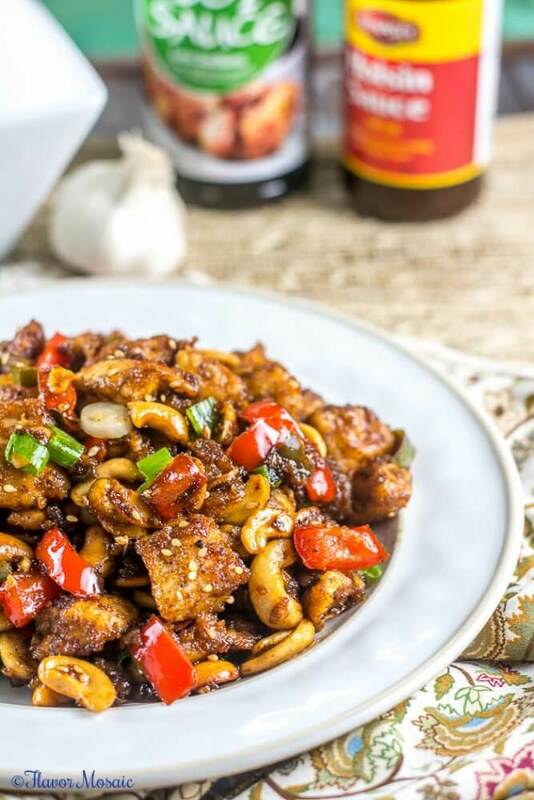 I originally published this Easy Kung Pao Chicken Recipe on PenneyLane.com in February 2015 for Chinese New Year when I was a contributor to that site. However, that blogger stopped blogging and took down her site. 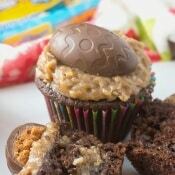 Therefore, I have published the original recipe here. an ahhhh-mazing sweet, spicy, and savory Kung Pao sauce. Our favorite place for Kung Pao Chicken was a little family-owned restaurant near our house. We ate there for a number of years until the restaurant closed. We tried several other restaurants afterward but their Kung Pao was not the same. We gave up trying to find another restaurant, and instead, now I make the Kung Pao Chicken at home. 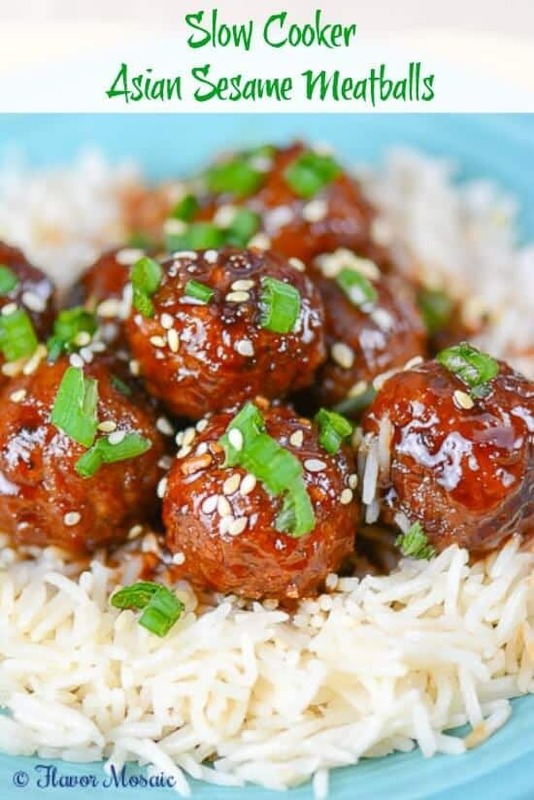 To make this recipe you will need sesame oil and Hoisin sauce. Both of these have incredible flavor and I recommend making both a pantry staple. They are found in the International aisles of most grocery stores or should be available at your local Asian market. 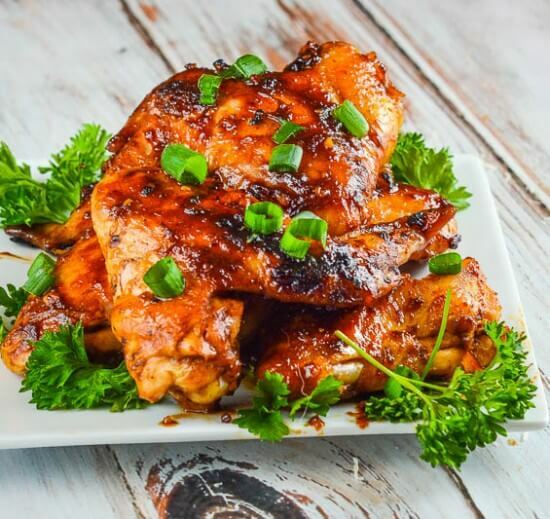 Sticky Asian Chicken Wings – a sweet and spicy Asian-inspired chicken wings. 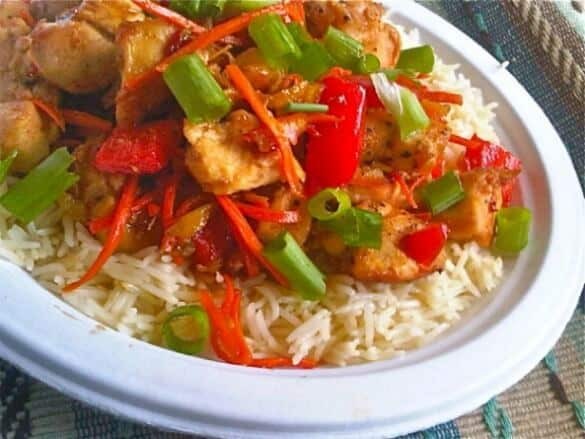 Spicy Orange Chicken – a chicken dish in a sweet and spicy orange sauce similar to a popular restaurant chain. Teriyaki Chicken Stir Fry – a quick and easy Asian stir fry that can be on the table in 20 minutes. Use good quality ingredients for the best results. Don’t skip the cornstarch. Dredging the chicken in cornstarch makes it crispy. Use a good quality balsamic vinegar, one that is sweeter than regular vinegar. If you have one that is more vinegary, you may need to add some sugar to the sauce to offset the additional vinegar taste. I recommend using a lite soy sauce or one that is reduced-sodium because regular soy sauce is extremely salty and could cause the dish to be too salty. If you add more vegetables or like to pour sauce over rice, then you may want to consider doubling the sauce. 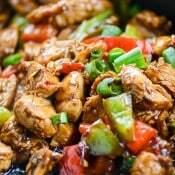 Here is a list of ingredients you will need to make Kung Pao Chicken. 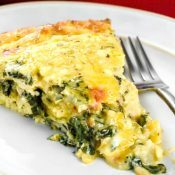 Scroll down to the printable recipe card to see the specific amounts of each ingredient. 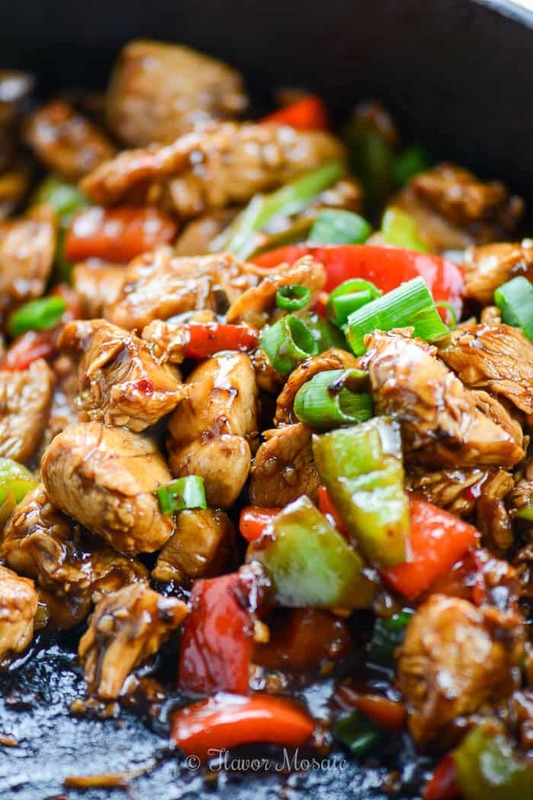 Here are the basic steps to make this Easy Kung Pao Chicken. 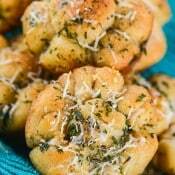 For more detailed instructions, scroll down to the printable recipe card. Heat oil in wok or skillet. Dredge chicken cubes in cornstarch. Add chicken cubes to hot skillet and cook until the chicken is no longer pink. Add red and green bell peppers and cook until they are just tender. To make the sauce, in a bowl stir together hoisin, soy sauce, balsamic vinegar, sesame oil, minced garlic, ginger and red pepper flakes. Pour the sauce over the chicken and vegetables in the pan. Cook until the sauce is thickened. Don’t wait until Chinese New Year to make this recipe! 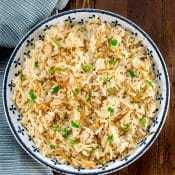 It is so quick and easy and delicious that you can make it all year round and skip the Chinese takeout. 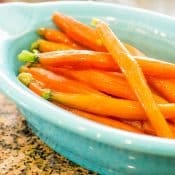 This is the RECIPE that was formerly posted on PenneyLane.com. However, that site no longer exists. 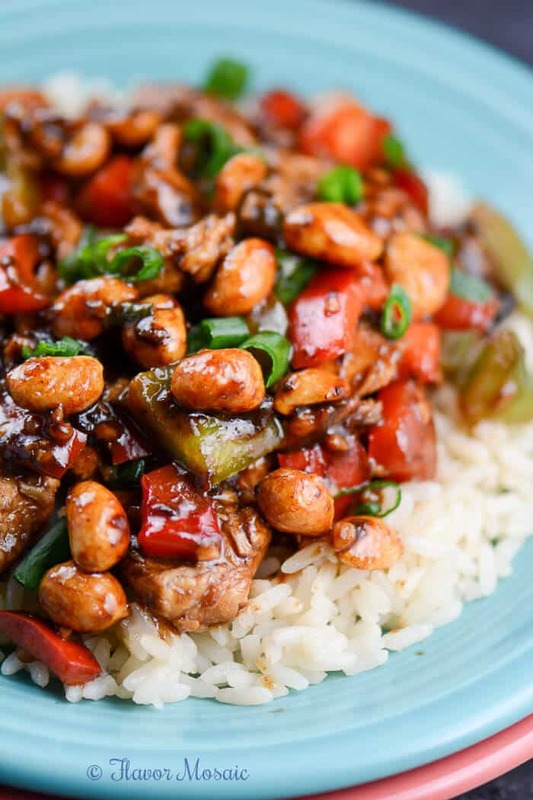 Who needs takeout when you can make this easy Kung Pao Chicken Recipe at home? 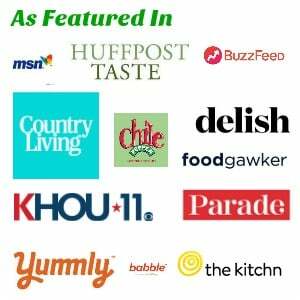 Delicious sauce, flavorful chicken, & traditional nuts & vegetables. It's also gluten-free!! Heat peanut oil (or vegetable oil) in a wok or large skillet over medium-high heat. Dredge chicken cubes in cornstarch and add to the hot skillet and cook until they are no longer pink. Add the chopped red and green bell peppers to the hot skillet and cook until they are softened. In a small bowl mix together the hoisin sauce, soy sauce, balsamic vinegar, sesame oil, minced garlic, ground ginger, and red pepper flakes. Pour the sauce over the chicken and vegetables and cook until the sauce is thickened. 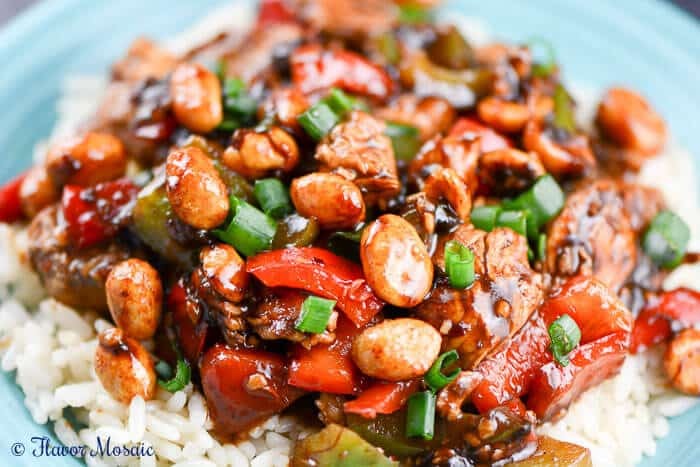 I originally posted this Easy Kung Pao Chicken Recipe on PenneyLane.com as a contributor. This recipe was formerly posted at http://penneylane.com/easy-kung-pao-chicken-recipe/ However, that blog no longer exists, and this is the original recipe. 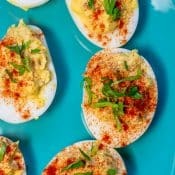 I found your recipe on PInterest and I have a question for you. Nowhere in the recipe does it say when to add the green onion and peanuts. Can you clarify that please? I’m eager to try this! Thank you so much. Hi Vicky, thanks for bringing this to my attention. I updated the recipe instructions. 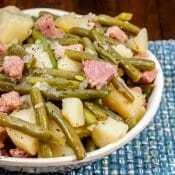 The peanuts and chopped green onions are added last, like a garnish, just before serving. Let me know if you have any other questions. I hope you enjoy the Kung Pao Chicken. 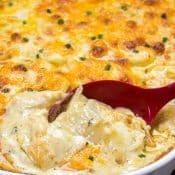 We’ve made this recipe many times before and love it but I noticed this version of the recipe taken from the original website no longer includes the celery even though it is still pictured in the photos of the dish. I hope to make it again this week and can just add a stalk or two when making it but I was just curious as to why it was left out.